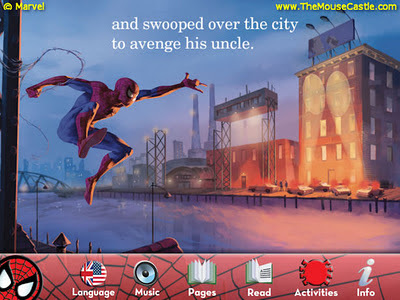 The app retells the familiar story of how young, nerdy Peter Parker gets bitten by a radioactive spider and suddenly develops incredible strength and the ability to climb walls. 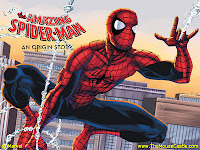 His new found powers enable him to become the Amazing Spider-Man and soon he's the toast of New York City. With great power comes great responsibility, however, and Parker must learn a hard lesson before he can accept his destiny. The artwork, taken directly from the illustrations in Thomas's book, is nicely rendered and there's plenty of interactivity to keep children engaged as they help Spider-Man web sling from building to building and shoot targets with his spider silk. 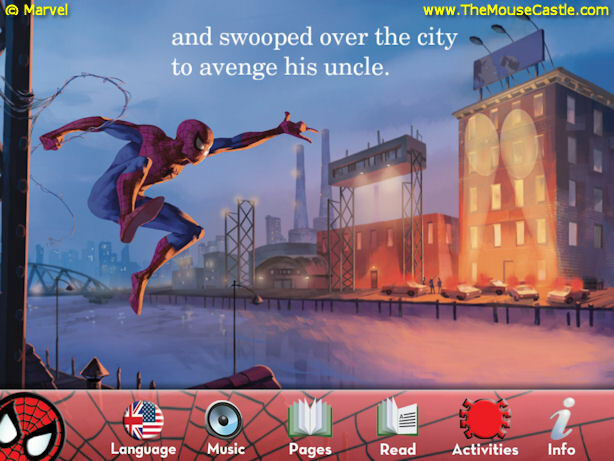 The real pleasure, though, is hearing Stan Lee read the story to you. There's nothing subtle in his delivery as the co-creator of Iron Man, the Hulk and many other famous Marvel characters narrates with an energetic gusto that belies his 88 years. It may be a simplified kids' version of the story, but it's a story Lee is extremely familiar with and loves to tell, even 50 years (almost) after he first told it. The Amazing Spider-Man: An Origin Story is available for $6.99 in the iTunes Store.